Pull up a chair and get ready for this week's Table Top episode hosted by Star Trek's, Wil Wheaton on Felicia Day's You Tube Channel, Geek and Sundry. This week Wil's featured board game is Castle Panic. Watch as Wil and guests: Tara Platt (actor - Naruto), Yuri Lowenthal (actor - Prince of Persia), and Andre the Black Nerd work as a team in this co-operative game to defeat the advancing trolls, orcs, and goblins. Do they live to tell the tale? 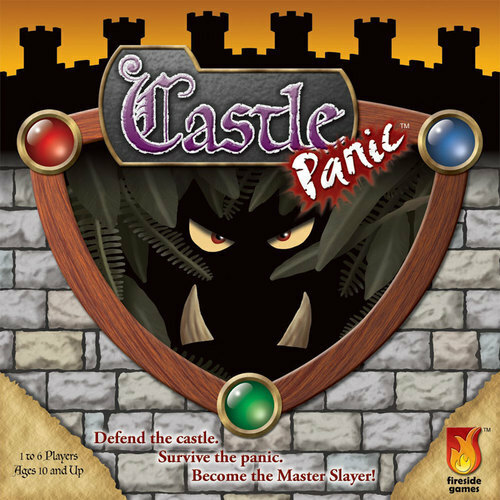 Click on the name Castle Panic to read our Game Profile write up. You can find Castle Panic available in our store.